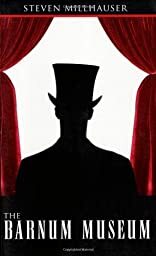 "The Barnum Museum" is a combination waxworks, masked ball, and circus side-show masquerading as a collection of short stories. In the title story, the Barnum Museum is a fantastic, monstrous landmark so compelling that an entire town finds its citizens gradually and inexorably disappearing into it. 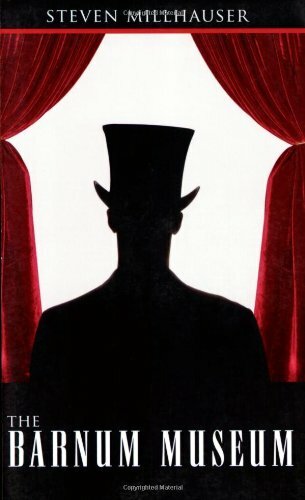 Other stories include: the tale of a bored dilettante who constructs an imaginary woman - and loses her to an imaginary man, and a legendary magician so skilled at sleight-of-hand that he is pursued by police for the crime of erasing the line between the real and the conjured. Ingeniously written and orchestrated, each exhibit in "The Barnum Museum" will compel you to continue, each story becoming a lure to the next. About Steven Millhauser (Author) : Steven Millhauser is a published author. Some of the published credits of Steven Millhauser include The Barnum Museum (American Literature Series), The Knife Thrower, In the Penny Arcade.